Dentist SEO tips, when implemented effectively, can improve your search engine optimization for your practice. This will ultimately help increase your website visitors, get more patients and give a boost to your production and profits. Over 75% of Canadians go to the dentist every year! That is a lot of potential patients no matter where you practice. In order to get the attention of these potential patients, you need to take your dental practice to the next level by harnessing the power of dentist SEO. Search engine optimization when done right can be the best thing that has ever happened to your business. 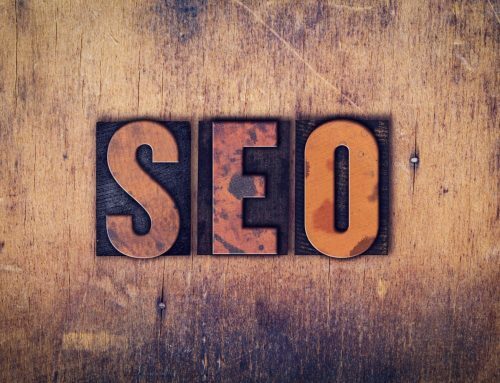 If you are ready to see what kind of exposure you can get from search engine optimisation but are not sure exactly how to go about doing it, here are some dentist SEO tips that will assist you with getting noticed. In order to get the best out of search engine optimization, you should focus on local SEO, try to target the people who are searching for a dentist in your area. It is highly likely that someone who is searching for a dentist in your location will add the location to their search term. For example, every month approximately 150 people go to Google to search for “dentist in Mississauga” to find a new dental provider. It’s important to notice how the location is attached. This is called a geo-modified keyword. When you use keywords like these it increases your chances of getting discovered. These keywords also have less competition, have higher commercial intent and more conversions (visitors turning into new patient inquires). Try to focus on these types of keyword instead of broad terms such as “dentists” and “dental clinic” which are very broad, highly competitive and have lower conversion rate. You definitely should be targeting them as part of a long-term dental SEO strategy. Reviews are now playing a large role in how Google ranks your website. In fact, reviews will now show up in the search results in many cases. It stands to reason then that the more good reviews you can get then the better it will be for your search engine ranking position. You can get reviews by asking for them. If you sense that a customer has had a pleasant experience then go ahead and ask them to leave your business a review. If your website only looks good on desktop then no matter how good your services are you will lose potential patients. Mobile devices have taken over and people love the fact that they can have information at their fingertips via their phone or tablet. If when they hit your site they have trouble navigating it, they will move on. Make sure that your website is mobile-friendly. You can test out how your device looks on mobile by using Google’s mobile-friendly test. You can also use your own cellphone and tablet to check how things look when mobile friendly adjustments have been made. There are few things that can drive traffic to a website like a strategic, well-thought out and well-written dental blog. Make your website a hub of information by using relevant content. Your blog posts should be very strategic it should answer questions about going to the dentist or getting a procedure done. Blog posts should contain keywords that people are searching for. While you want to include these keywords more than once overusing them can get your website flagged by Google. Try to make your content as long as possible. Research shows that Google favours articles that are in-depth and comprehensive, which usually means longer, so write as much as possible without rambling or you will lose your readers. Check the loading speed of your site to see how fast it is. A slow loading site will lose a lot of visitors. These days people lose patience especially when they have so many options. The chances of someone returning to your site after finding its loading speed to be too slow are minimal to non-existent. You must make a good first impression. When people click off your site quickly it increases your bounce rate. High bounce rates signal to Google that your site is not valuable. Slow loading speeds also lead to high bounce rates. If your loading speed is too slow the images or files used on your website may be too large. Get your dental practice listed with Google My Business. Doing this, signals to Google that you are a legitimate business and they reward you by listing it prominently on search results when you follow several best practices. It may seem like a tedious step but go ahead and do it. Chances are high that your competitors are not doing it and you will have an edge over them. Make sure you include several details about your services in your list. You can also fill out Yahoo and Bing Listings as well to ensure maximum exposure. While filling out these listings is important you should make sure that your listings are consistent across all the platforms. Inconsistency in your listings will confuse search engines. Make sure that the basics such as your name, address and other relevant information matches in all your listings. An HTML sitemap may seem like one of those things you can ignore. However, there are several good reasons why you shouldn’t. The first reason is that it helps users to navigate your site more efficiently. The second reason is that they will stay on your site longer and this decreases bounce rates. Finally, a sitemap helps you to have more page views. All of which signals to search engines that your website is worth ranking. More importantly, your XML sitemap will help search engines crawl and index your site making it easier for the different pages of your site to rank. The use of Dentist SEO is one of the best ways to increase your visibility and grow your dental practice. However, you have to know how to use search engine optimization effectively. Make sure that you make your website is user-friendly and easy to navigate. Make it easy for search engines to crawl your website by using sitemaps, proper site architecture and creating a blog. Take the time to list your website properly with search engines and make your website mobile-friendly. Finally, remember to encourage your clients to leave reviews when they have had a positive experience with your services. If you would like more information about growing your dental practice with SEO, please visit our blog or hire this Toronto SEO expert.